What do you do with all of that leftover material you have in your yard in the fall? There are so many ways to use it. Why not turn it into mulch? PLEASE don’t throw yard waste in the trash to go to the landfill. It’s full of vital nutrients that can improve your yard and garden. Why does the garden need mulch? 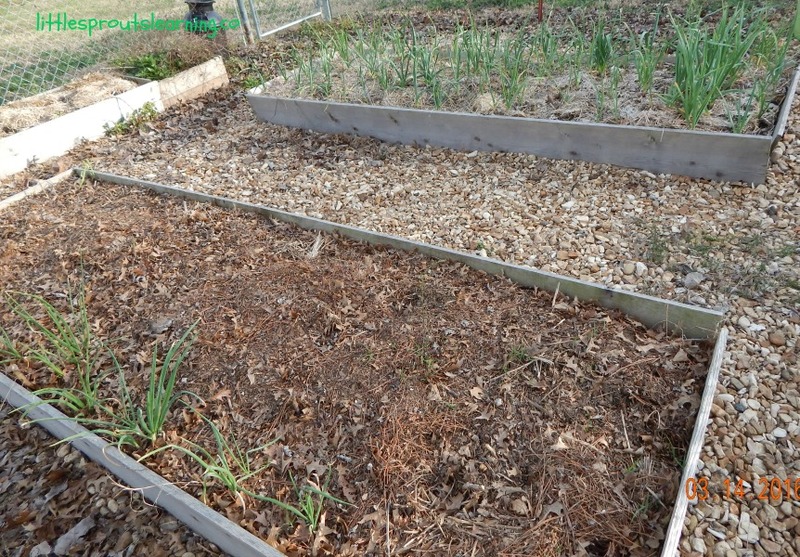 Mulching your garden beds is a GREAT way to cut back on weeding, use less water, and warm up the soil faster in the spring time for earlier planting. It also prevents erosion and helps your beds to stay fluffy and airy and not compact down from the rain and other precipitation throughout the seasons. 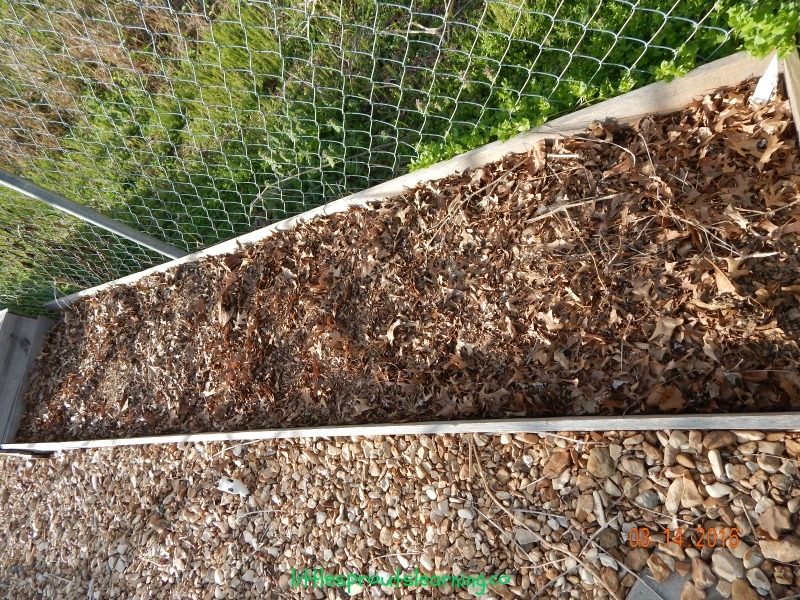 There are so many materials you can use to mulch, the standard bagged wood chip mulch from your garden center is not the only thing that will work. Mulching in your garden cuts back on weeds because it prevents sun from getting to weed seeds so they can’t germinate. So how do you plant your own seeds in a mulched bed? Just scrape back a row of mulch from the area you want to plant your seeds, plant your seeds according to package instructions, and then when the seeds germinate and grow to about 4 inches tall, you replace the mulch around the stems of your plants to keep them warm and moist again. What is the purpose of mulching the garden? Have you ever been in the woods where fallen leaves are not raked up? If you pull back the layers of fallen leaves, underneath you will find the most amazing dark, fertile, moist soil you’ve ever seen. The smell of this wonderfully fertile soil is unmistakable. It’s the earthy smell of LIFE! This is perfect gardening soil. You want to make soil like this for your garden and mulch will help you get there. Mulching your garden helps you use less water because it helps prevent water from evaporating from the soil. The mulch covers the moisture that falls from your sprinkler or the rain and holds it in the soil so your plants can use it. Mulching helps your garden beds warm up faster in the spring because it serves as a blanket over the soil. When the sun comes out and begins to shine on the earth, it warms up the blanket which in turn warms up the soil. It’s amazing what a difference a degree or two can make in your planting success. Mulching also helps your garden beds stay light and airy, instead of allowing the precipitation to pack your soil down. You want nice light soil for planting the healthiest crops. In addition, it helps stop soil from eroding in the wind, rain, and snowfall. Another great reason to mulch is so you can use materials that you would otherwise have to throw into the landfill through the waste management system or trash service. The more yard waste that is put in the landfill, the faster our trash grows and the more of a problem it becomes. If you could use those waste materials in a productive way, we could save a lot of resources including dollars. As mulch breaks down in your garden beds, it reintroduces nutrients into the soil that are needed for the production of really healthy plants. It’s a wonderful way to fertilize for free, saving you even more time, money, and other resources. What types of materials can be used to mulch your gardens? Leaves can be used to mulch flower beds, veggie garden beds and around the bases of trees for winter protection (remember not to put them all the way up to the base of the tree, leave a small space between your mulch and the tree trunk to prevent rotting or pests from hiding there). Leaves are a great addition to your compost bins for your brown materials or carbon materials. Leaves can be chopped up with the lawnmower or left whole and used as is. I love using my friend’s leaves to mulch and compost all season long. I just keep them in bags until I’m ready to use them, this helps start the process of breaking them down. Grass clippings: As long as your grass is not treated with herbicides, you can let it decompose in a pile and spread it over the top of your garden beds or use it as brown matter for composting as well. Be careful with grass not to use too much because it can mat up or contain too much nitrogen and if you spread it on too thickly, it can burn or suffocate your plants. Straw: Straw makes a wonderful mulch. 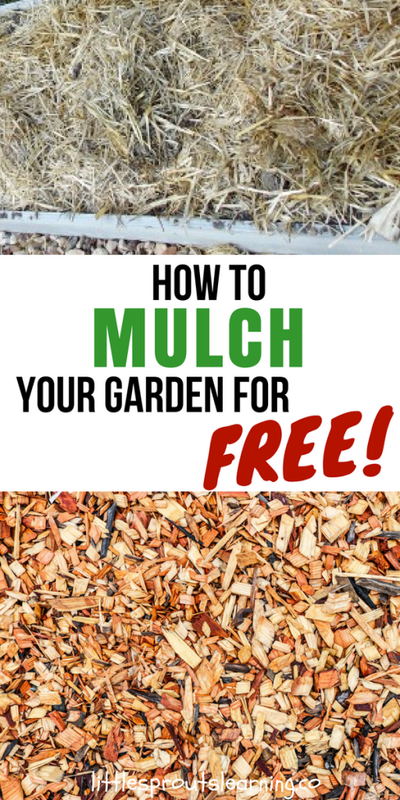 It’s not free typically, but if you run out of grass and leaves, it’s a much more economical choice than bags of bark mulch and it breaks down and provides nutrients better. 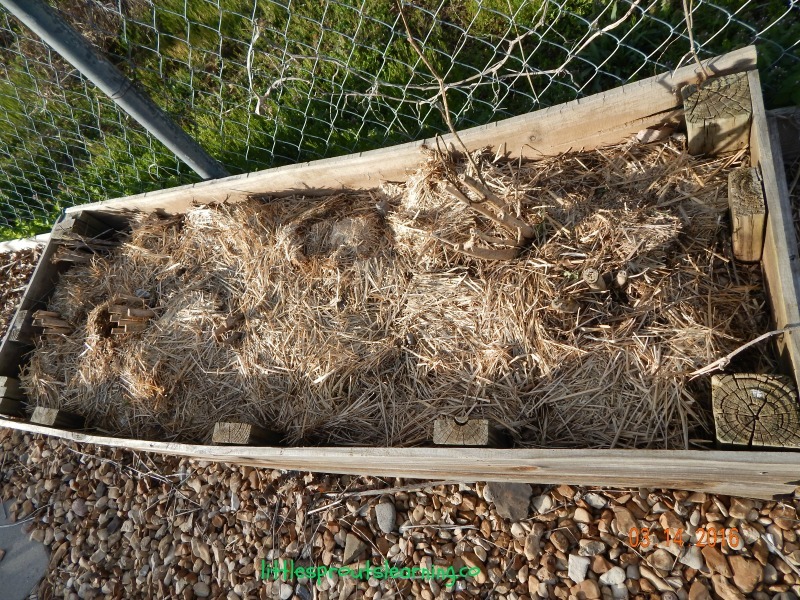 I love the look of straw on the beds, so if I have to buy additional mulch, I usually opt for straw bales. Make sure to get non treated straw and take special care to NEVER use hay. Hay is for animal feed and it still contains the seed heads from the grasses it was cut from. It will plant you more weeds than you can imagine. Bark or Wood Chips: You may have free wood chips available and if you do, go for it. These can be used for mulch but you run more of a risk of feeding termites or if you buy it in bags, you may be even buying termites in your bags of mulch. They are also covered in plastic which is a waste of our resources making the bags. They break down so slowly that they may actually leach nutrients from your garden soil in order to break down. This is my least favorite form of mulch, but if you have a bunch of free wood chips and don’t have access to anything else, I would sure use it if I were you! I love having free gardening materials that improve my soil quality, prevent erosion and help me waste less of our precious water resources. 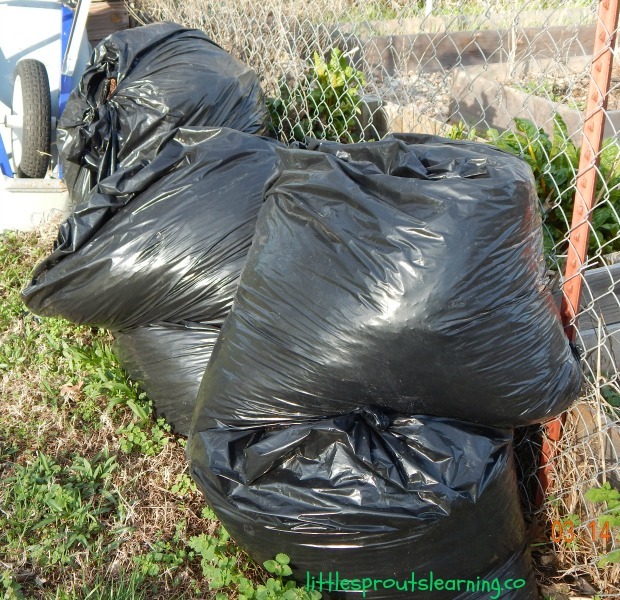 Look around your yard and see what you are throwing away that may be super useful for something in your garden. You might be surprised at what you come up with. Ever Change Productions wrote a great article about other things you can do in your garden for free or by reusing what you can find. Check it out by clicking the link below! I love the idea of straw. It not only is pretty, but clean! I’m about to bed my little garden down for the winter. Thank you for always offering such great tips for gardening. I am going to use this method in our new addition to our front yard garden this fall. Thanks for the tips! Great tips! Why spend money on stuff when you can get it for free! yes, i agree, Kayla. I love sourcing free stuff for my garden! 🙂 THanks for reading! Christina， I had no idea what mulching was until I read your post. Is this necessary for potted plants? Agy, It’s not a must for potted plants, but it can help them retain moisture and stay cooler in the super hot part of the summer. I mulch my potted plants. We did a science experiment with the kids a few years ago on potted plants and mulch and the amount of water we saved was AMAZING! Our plants in the mulched pot were more successful as well. It sure doesn’t hurt. 🙂 Some people use spanish moss to mulch potted plants because it’s kind of pretty. Thanks for reading! Thank you for your dedication to deliver value and for exactly demonstrating how one can turn the yard trash into treasure. One mistake that most newbies make when mulching is to use fresh grass or leaves. I made that mistake severally until I learnt the hard way. Yes, never use fresh! Thank you for pointing that out and thank you for reading! That’s a helpful tip about straw versus hay. I don’t think I would have known the difference! You would learn it after the first time. Ha ha! 🙂 Thanks for checking out the post!